Hair Club Phoenix is located two blocks southwest of the Biltmore Fashion Park. The building is located between 20th St. and 22nd St. on the south side of Highland Ave. There are two identical office buildings. If you are looking at the front of both buildings from across the street, we are in the building on the right. Enter from Highland Ave. just between Half Moon Sports Bar & Grill (on the left) and Homewood Suites (on the right). PARKING: There is free parking available in the parking structure on the right, labeled visitor’s parking. PUBLIC TRANSPORTATION: Visit the website www.valleymetro.org or call (602) 253-5000. IMPORTANT NOTE: Any weekday consultation appointments after 6PM and all Saturday consultations after 1PM must use the video phone mounted on the left side of the West entrance to gain access into the building. You will need to ring the bell and Hair Club staff will promptly buzz you in. I have been a hairclub member since August 2015, and during that time have had the pleasure of each stylist on staff do my hair. Their wealth of knowledge based on experience is awesome! Their personalities infectious including laughter and humor! They are compassionate, caring, and sensitive to your needs! I truly am a member for life! Jeff you are the Best!! Of course, the best way to get your questions answered is during a complimentary consultation with a hair loss expert at a Hair Club center near you. I winter in AZ the past six years. Shamiram is an unbelievable hair stylist. She takes her time and knows exactly what I like. She works extra hard to make sure I am happy when I leave. I never feel rushed and if I have any issues she resolves them before I leave. I wish I could post a picture of hew work. She makes my hair look amazing!!! I have been a member for over 20 years and totally satisfied. By the time my styling is done, no one could ever tell that I wear hair! I have been wearing a hairpiece 45 years and have been using Hair Club's services in Phoenix,AZ the past 5 years. It is very clear to me just how much better both the hair quality and service are here compared to any other option. Also, I would like to give special credit to my stylist, Audrey, who has been the best I have ever had. Great team. Always happy to do what it takes to make sure the client is satisfied. I'm 60 years old and the product here makes me look at least a decade younger, if that's your goal, though they have distinguished offerings as well for those who prefer to look their age, just not overly thin or bald. When I first started coming here I looked in the mirror and thought "Well it looks great, but obviously not really my natural hair." But that's just because we all know what we look like. Look at everyone ELSE in the lobby (discreetly!). They all look perfectly natural! So do you, to people who don't see you in the mirror every day! :-) Everyone on the staff is professional, highly competent, and very helpful. I had LOTS of questions, and they answered them all. The wide range of pricing options makes the product/service available to most anyone. I have been with this center for eight years. Whenever I have a concern Katie is always there with the right solution. Katie is very professional and a big part of what keeps this organization moving forward. Also, Claudine has been my stylist since I started eight years ago. In my opinion Claudine is exceptional in her profession. It is due to employees like Katie and Claudine that I will be coming back for another eight years. I have been a client of Kate's for many years and she is amazing! She is always so upbeat and lively. I truly enjoy every visit with her. I have been a HCM member for almost 15 years and during that time I have been with one stylist and this is absolutely by choice. Kate is hands down the best stylist at the center, she is very attentive to what my needs are (and I can be considered high maintenance). For the numerous times I have needed extra help or needed to be squeezed in before a wedding or big business event she has always gone above and beyond to help me. I know her books are usually full but there is a reason behind that as she is in high demand for a reason. I would highly recommend her to anyone wanting an A experience. Plus she makes the trip enjoyable with her sense of humor. She is the main reason I have been a member for so long and will continue to be. I have been coming to Phoenix location for many years. Jeff was awesome in geting me started. I mostly see stylists Taonea and Michelle but have seen most of the stylists at one point or another. Staff is always professional, friendly and very helpful. Love them all. All the products are high quality. Having thick hair again as a woman has improved my self confidence. So glad Hair Club of Phoenix has been here for me. Would highly recommend Hair Cub and Phoenix lication to everyone. Thank you to Jeff, Taonea, Michelle and all the staff. I wish I could give them 10 stars! My Teen age Daughter has Alopecia. Thanks to the Hair Club, she now has hair, which has completely changed her life. Everyone on the staff has been amazing. Jeff Little has been there from the beginning and every step of the way. To see the transformation and the confidence she has gained thanks to these wonderful people is truly a sight to behold. I can't thank the people of the Hair Club Phoenix enough. What can I tell you, I mean I get compliment's from people I have not seen in years, heck people I don't even know, they say I look 10 year's younger than what I really am. Lu is my regular stylist and is awesome at what he does to make me look and feel great. Actually the entire staff of stylist's do just that, very professional and very considerate, they make you feel like family. Jeff has the most professional staff from the front desk to the office staff to the styling chair, please don't change a thing. Thanks HCM, I'm greatful you're there for me. Kate is always very helpful whenever I am having any difficulty with any of my hair systems or products. Outstanding service and product with excellent staff. A pleasure in all regards!! Kate has been doing my hair for about 10 years. She is a wonderful stylist, and we have a lot of fun trading stories and jokes as she works on me. Above all she is a professional, who listens and creates the hair I've always wanted. With each little tweak and adjustment, I look better and better and get many complements on my appearance. especially from the ladies! Don't wait to look your best, guys. Do it now! My experience with Hair Club has always been a positive experience. I have been a Hair Club client for way over 20 years starting in New York. Starting back in the late 11980's. 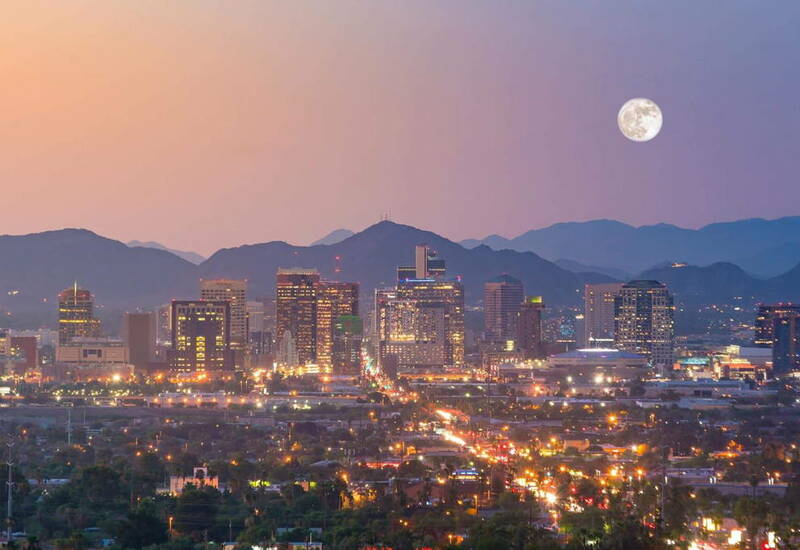 I've been here in Phoenix for around 7 years. My hair stylist is Audry and I am very pleased with her. Hair Club is the closest thing to having God given hair. It's so natural looking and easy to take care of. The whole staff is professional and caring. I'm very happy with them all and will always be a satisfied client. Thank you Hair Club for making me look young again. Shamiram is a great stylist, but above all a wonderful person. All the staff members are talented and caring people. Thank you! HCM was a Godsend for me. I’ve been coming for seven years. I get compliments on my hair all the time. Shamiram is my stylist and she does a phenomenal job everytime. So thankful for HCM so I don’t have to look older than I really am! Lisa's consultation overall was very friendly, positive and helpful. I see only Lu. He is the best for me. There has been a lot of turn over at the front desk but they all have been pleasent. I was made to feel very comfortable and at ease. Lisa was extremely helpful. Jeffrey was also very nice to talk to as well as the stylist. I left feeling very confident and the future. Yadira and Suzette are professional and cheerful. Lou B. is an excellent stylist. I always try to schedule appointments with him. Overall, I have nothing but positive feedback fegarding staff there. HCM was a Godsend for me. I've been coming for seven years. I get compliments on my hair all the time. Shamiram is my stylist and she does a phenomenal job everytime. So thankful for HCM so I don't have to look older than I really am! Been a customer of hcmw in two states,IL and AZ. Both very professional with terrific personnel that perform their services with talent and courteousness. Very happy with their work. Really enjoy my current stylist Shamira, she's the best. I have had a excellent experience with Shamiram at HCM. I would recommend using the salon. - Edward C.
Michelle is my professional at the Hair Club and is a great professional. She always makes me feel good and look 100% better. The product they provide has been excellent over the years I've been a client. I work in a service business and I always feel I look good when I call on customers and no one, even my family, can tell the difference between my hair and the HCM product. Audrey is "tops" she is my favorite stylist. I am overall very satisfied with the Hair Club of Phoenix. I feel better about myself when I am out in public but, I still wear a hat sometimes because I just like to wear hats.